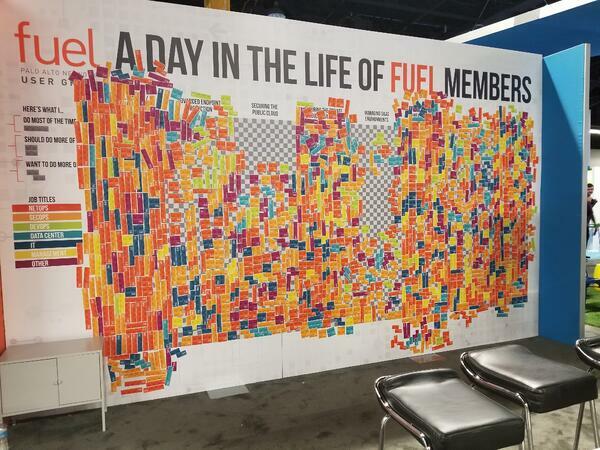 Earlier this year at the Ignite Cybersecurity Conference in Anaheim, California, Fuel set up an interactive wall for attendees to mark areas where they are spending their time in their work, such as firewall configuration, and areas where they’d like to spend more time, such as private cloud management. The wall tells a great story—by peers, for peers—about where the industry stands. Here, we’ve broken down a few of the findings, with input from two Fuel User Group Board Members.